Three bumps available. Soft, silky, llama roving! The intersting thing about fiber, is when you blend brown and white together, you get silver!! Only one bump available. The two 13.3 oz. bumps have no felting, and Have a beautiful heathering to the fiber!! You can see the swirl of white on the top! 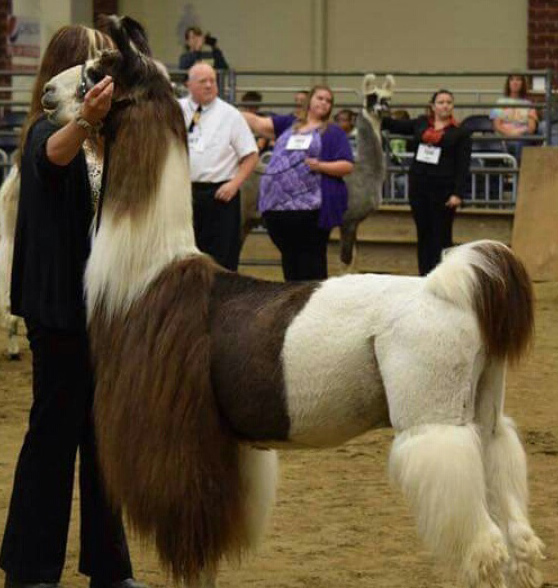 Beautiful top of the line suri llama fleece. Lot's of luster, fine hand, slippery to spin, but well worth it! Ever want to try llama for spinning or felting, but didn't want to buy a big, expensive bump to start? Here's your chance to try something new! 4.6 oz of Siguana. Bright red, easy to spin, llama roving! 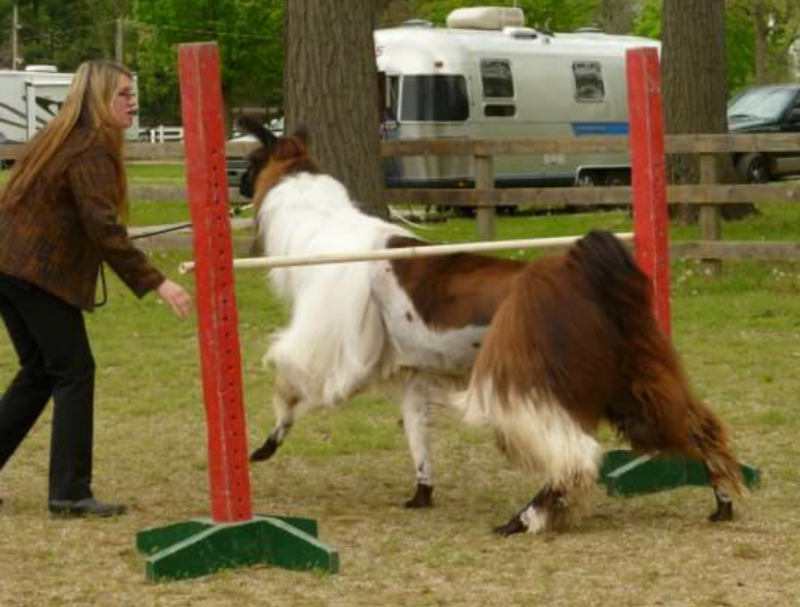 We raise show animals, not the picky double coated critters that you see in older pictures! Two bumps available if you need more! Another bump that is up to the challenge!! 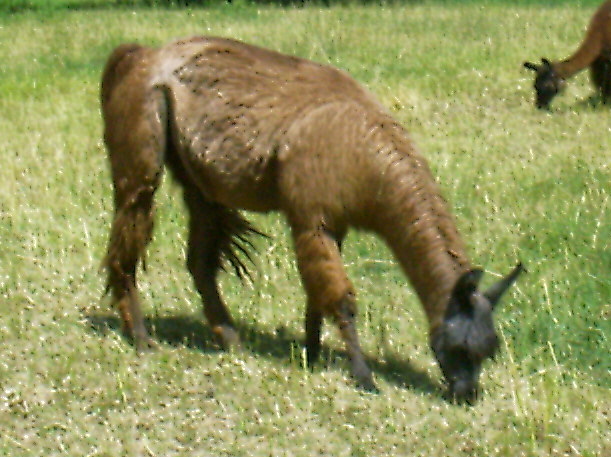 There has been a lot of discussion on several groups about llama fiber. Many have mentioned that it has guard hairs and is coarse. I challenge anyone who thinks that llama is coarse with this bump!!! Two bumps of llama roving from JJ. Easy to spin, Nice and soft! Steel gray. Soft, but not as soft as some of the others. Softer than most sheep wools. Easy to spin. Great to learn with!